After waving farewell to Halloween and before saying Hello to Christmas, the Thanksgiving season is coming. Thanksgiving Day 2011 is drawing nearer and nearer. May be you are busy with the preparation of this festival: Thanksgiving recipes, Thanksgiving crafts, Thanksgiving pictures, Thanksgiving games, Thanksgiving poems…all will drive you crazy. And what should you do to ease your tight nerves? What about some Thanksgiving-themed movies? In the following, there are carefully-chosen top 10 best movies for turkey day 2011 which will get you into the Thanksgiving mood quickly. With a lineup of Thanksgiving movies, digital life of Thanksgiving Day 2011 will be much funny. For your preference, you can enjoy these movies with your family members, your friends anytime anywhere. You may worry about the device compatibility problems for certain video formats only are recognized by certain video players. To help you deal with such problems, you can take advantage of a video converter to convert video to the corresponding formats. After video conversion, you are able to get all movie video played on any video devices. If you don’t have any idea on how to carry out video conversion, you can as well resort to this guide on how to convert video for reference. Now do feel free to get access to the Thanksgiving movies, and find them on YouTube or other video sharing websites. For online movie video download, Free YouTube Downloader is available for you. Besides, you may have purchased some Blu-ray or DVD movie discs, you can also rip Blu-ray/DVD by resorting to a full-featured Blu-ray Ripper. Now pick up what you like in the following to fulfill Thanksgiving digital life. 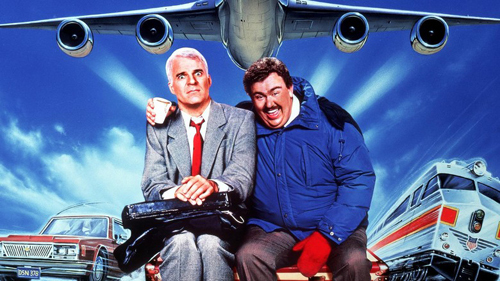 This film follows Neal Page and Del Griffith on a journey of Odysseus-like proportions. The impromptu duo’s nearly failed attempt to return from a business trip in time for Thanksgiving dinner leads to a likeable stint of self-discovery. 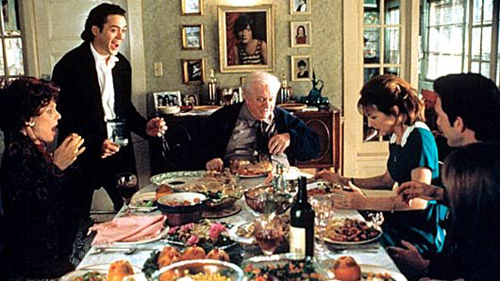 It’s enough to make us feel a little smarmy and wistful — which is just the right mood for a family Thanksgiving. What is Thanksgiving for, if not to get hyped up about the coming of Christmas? Nowhere is that more joyously clear than in the 1947 classic Miracle on 34th Street, starring Mareen O’Hara, John Payne and the super adorable, six-year-old Natalie Wood. The film starts at the Macy’s Thanksgiving Day parade and heads straight into the venerable department store. Let the shopping begin! 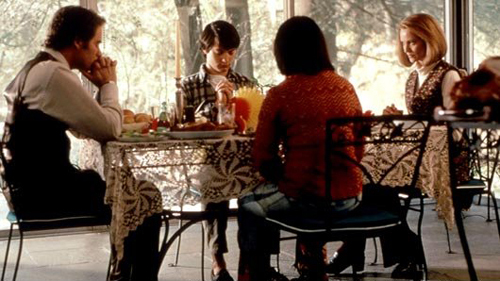 Even more explicit about its “Thanksgiving as homecoming” theme than ‘The Myth of Fingerprints,’ this Jodie Foster-directed ensemble piece about a dysfunctional family stars Holly Hunter as a recently laid-off single mom who returns home for Thanksgiving. This larger-than-life recreation of Arlo Guthrie’s song of the same name is an entertaining romp through 1960s pop culture, complete with a firsthand account of anti-war sentiments. After Guthrie visits his friend Alice for Thanksgiving, he offers to transport her trash to the dump, where he encounters a closed landfill. A series of decisions prompts him to push the garbage into a gully. When Guthrie’s caught by local authorities, a memorable court appearance is followed by a series of legal events in which the Army finds him unfit for military service. 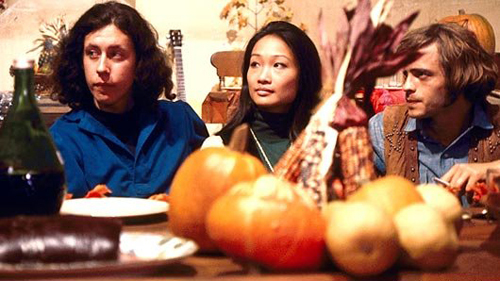 Nothing says “Thanksgiving” like key parties and ’70s-era suburban angst, and the American debut of director Ang Lee features both of those things. 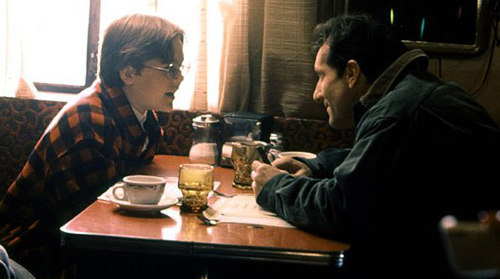 It also features winning early performances by Christina Ricci, Tobey Maguire, and Elijah Wood. 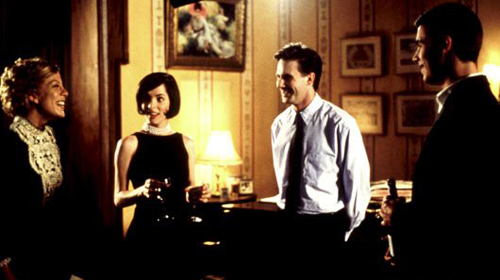 Nineties independent film darlings Parker Posey and Josh Hamilton team with Tori Spelling and Freddie Prinze Jr. for the film adaptation of Wendy MacLeod’s play. Hamilton brings his fiancee home to meet the family at Thanksgiving, and Posey, who plays his twin sister, doesn’t take it so well. Crawl is a big city boy who travels to the Midwest for Thanksgiving, pretending to be the fiancé of a farmer’s daughter he befriended at an L.A. college. His guise as Rebecca’s fiancé is designed to discourage an overly ambitious suitor in her hometown, but the strait-laced innocent eventually falls for Crawl as he bungles his way through a series of down-home traditions. Even her suspicious family comes around in the end, as Crawl’s unflagging enthusiasm wins them over. 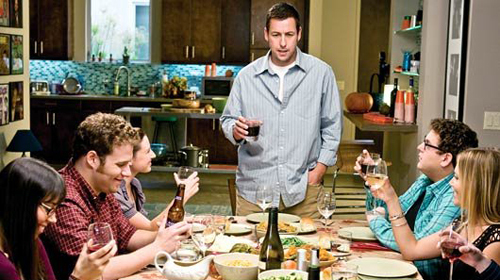 Judd Apatow’s Adam Sandler/Seth Rogen dramedy spans a good amount of time in the lives of its characters, but an early highlight is a scene in which Sandler, as comedian George Simmons, offers up a Thanksgiving toast at the house of his protege, Ira Wright (Rogen). It is about a meat-and-potatoes construction worker’s attempt to stay firmly ensconced in his girlfriend’s good graces — by retrieving her preppy son from boarding school in time for Thanksgiving. We think it has a number of redeeming qualities — namely, a cross-country road trip filled with comedic situations. And, it’s clean enough to watch with the grandparents or the junior set. 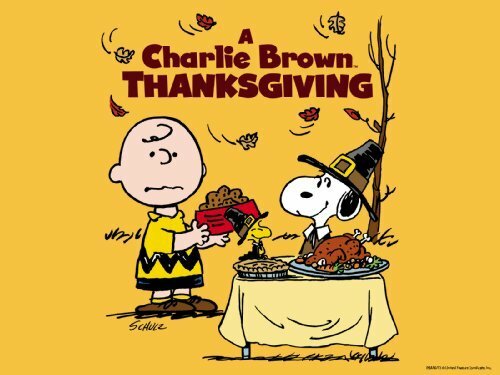 When Peppermint Patty and her friends finagle Charlie Brown into serving a traditional Thanksgiving dinner, it’s up to Woodstock and Snoopy to make the day a success. Thanks to daring dishes like buttered toast and popcorn, and a memorable struggle with an uncooperative folding chair, Snoopy lends his own brand of wordless charm to the day’s events. 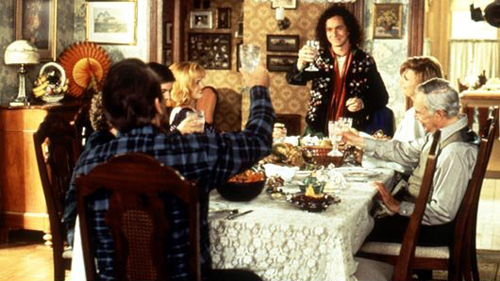 As the gang gathers around a ping-pong table for their unique meal, the true meaning of Thanksgiving shines through.